About once a month I run a free, weeklong meditation group on Facebook called the 7 Day Meditation Kickstart. As part of the group, I offer guided mindfulness meditation for people who are new to the practice. In those meditations, I guide people to use the rising and falling movements of the breath as an object to observe during their meditation. In particular, I tell them to simply observe the physical sensations associated with the inhale and exhale, without doing anything to modify the breath. Without trying to make it smoother or deeper or change it in any way. Just observe it. One of the things that often comes up for people during the week long group, is how difficult it can be to just allow the breath to be however it is and simply observe it. But, if you can resist the urge to monkey with your breath when you notice it changing in this way, it’s a golden opportunity to catch a glimpse of something really important and fundamental. 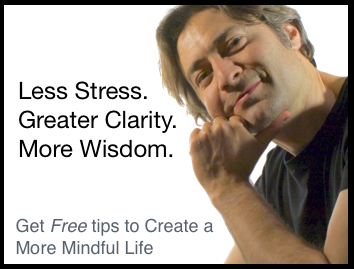 To learn more about the Free 7 Day Meditation Kickstart program, click here. I’ll explain what I mean. Let’s say that your breath is currently nice and relaxed, smooth, deep. Kind of like you imagine the breath should be during meditation. And then, for whatever reason, it starts to get choppy and feel more forced. Before doing anything else, see if you can notice any desire you have for the breath to be different than it is, right now in this moment. Is there “wanting the breath to be smoother” or “wanting the breath to be more natural” or “wanting the breath to be … less choppy, deeper, shallower, slower, faster” or whatever? The actual presentation of the breath during meditation is actually completely irrelevant, in and of itself. The real action, so to speak, is to be aware of the desire to manipulate it, to change it so that it more closely approximates some ideal we have about what the breath is supposed to be like while meditating. So, that’s what you want to try to notice, any resistance you might have to allowing the breath to be just as it is. Well, at the risk of oversimplifying things a bit, that kind of resistance is one of the root causes of feeling discontent with how things are. It’s a prime source of unhappiness in life. I’ll give you a great example of this. The day after Halloween, my 7 year old son had a soccer game and it was our turn to bring snacks for the team, so we put together a bag of chocolate chip granola bars (which are a team favourite) and a bunch of cut up oranges. Isn’t it amazing how, what would have brought cheers at last week’s game was now a source of suffering at this one! All because of an expectation or desire for things to be a certain way, and the thwarting of that desire. The granola bars were still deliciously crunchy. The oranges were sweet and juicy. But he couldn’t experience that in that moment. Meditation is where we have the opportunity to notice this kind of resistance and desire, and where we learn to practice with it. That’s how we develop enough skill so that we can apply it in daily life and make some fundamental and dramatic changes. So, when you notice resistance and desire, your task is to be as fully and clearly aware of them as you can, but do nothing to act on, or react to them. That’s super important! Just observe with curiosity. Get to know what resistance is like. What physical sensations are associated with it? What thoughts and other mental activity arise in conjunction with it? How long does the resistance or desire last? Spend the time to get to know it really, really well, but don’t do anything to suppress it or act on it. If this is too difficult for you right now, then practice this kind of curious, non-reactive observation with the breath itself. Be aware of how it changes, but do your best to not alter it. Just get to know the changing breath really well. After a while, you’ll develop enough equanimity to then move on to observing the resistance and the desire itself. 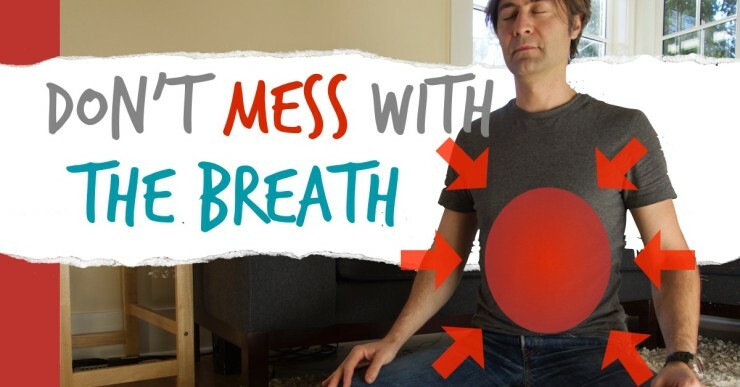 I hope you’ve found this video helpful and that you now have a better understanding of why it’s important to not control the breath during meditation, if your goal is to develop mindfulness.